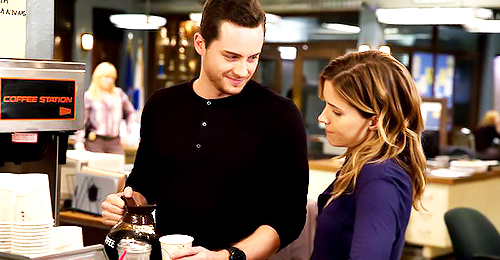 Erin and jay. . Wallpaper and background images in the wachumba wa tevevisheni club tagged: photo sophia bush jesse lee soffer erin jay chicago pd. This wachumba wa tevevisheni photo might contain mvinyo bar, mwambaa mvinyo, and diner.